You definitely want your wedding to be one of the most if not the most memorable day of your life. That’s why careful planning is very important. You wouldn’t want to forget anything and mess up the whole event. However, there’re so many different things to take care of so it’s easy and normal to forget something that may make a big difference. Worry not because here’s a checklist of different things that you might regret doing on your wedding day in retrospect. 1.) Not hiring a professional makeup artist and hair stylist for your wedding. There’s no better time than your wedding day to pamper yourself and get your hair and makeup done by professionals. They definitely know the look that’ll make you be the star of the occasion. 2.) Not doing personal vows. Your wedding day should celebrate how beautiful your relationship is and what makes it different from others. 3.) Not hiring a videographer. The services of a videographer may be costly but a professional video of your wedding day will be something you’ll treasure for the rest of your life. You can relive the moments anytime you want and even show it to your children and grand children. 4.) Wearing uncomfortable shoes during the reception. It’s a given that the bridal shoes should both be beautiful and comfortable. That goes with the shoes you wear during the reception (in case you change). For sure you’d be doing lots of dancing and greeting guests. 5.) Not telling your photographer all the moments that you want him to capture. There’re must-have photos. Not having sweet and important moments captured will be extremely disappointing. 6.) Not feeding your guests on time. Having great tasting food served on time is part of the big celebration. You wouldn’t want to be remembered as the person who had lousy food served late on her/his wedding day. Furthermore, you don’t want guests to be drunk or too hungry during essential parts of your reception. 7.) Not getting ready with your bridal party the morning of your wedding. I know it’s usual for brides to get dressed alone but getting dressed up with your bridesmaids is always enjoyable. Plus, you shouldn’t miss the chance to have some girl time before the ceremony. If you looked up wedding dresses on your own, you should definitely spend time putting them on with your girls. 8.) Not looking thoroughly for the right wedding dress. It doesn’t have to be expensive but it should definitely feel like the perfect dress for you. 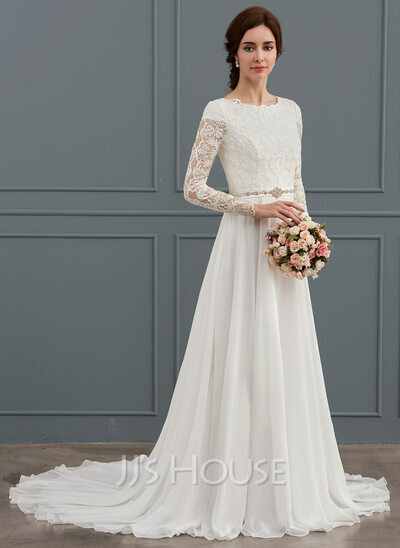 Try shopping online in websites such as JJ’s House (Jjshouse.com), the global leading online retailer for wedding gowns, special event dresses, wedding party dresses, and accessories. What Should You Wear to a Modern Wedding? Modern weddings are now much more unique. Rather than following a traditional path, many couples are now celebrating in their own way, creating a day that suits their relationship rather than a set of ‘rules’. Just as the wedding ceremony is gradually changing to incorporate more modern ideas, what people choose to wear to weddings is also changing. Part of this comes down to the fact that more people are choosing outdoor locations but it is also a sign that we are approaching marriage in a more informal way. Couples are now much more likely to organise their wedding together as opposed to the bride and her family taking control. As the ceremony becomes more personal, it is hardly surprising that people want to express something more than formality in what they wear! The only problem with this is figuring out what you should wear. The traditional wedding is still the easiest to dress for, though if you are on a budget, it might be quite tight. Morning coats, jackets and silk ties with trousers are still the basic dress code. A pocket square may also help to make you a bit fancier without bumping the price up too high! If you are looking for a silk tie in a particular colour and don’t want to spend a fortune, Ties R Us is a good place to start. For a formal wedding, it might actually be better to rent your suit rather than to buy. Though buying will give you the perfect fit, unless you are going to a lot of traditional weddings, the investment is probably not worth it. On the other hand, if you are not a standard size, you may find a rented suit uncomfortable and ill-fitting. Finding a suit that fits is all about getting the measurements right. You don’t want to feel uncomfortable in a suit that is too tight to sit down in but equally you don’t want to be hitching your trousers up every few minutes! Use a measuring tape to measure yourself (or ask a partner!) before you go and try some different suits. Different cuts will naturally suit different body shapes so don’t worry if you have taken all the right measurements and a suit still doesn’t work. Try a different cut and see which works best for your body shape. Beach weddings are becoming more and more common and though the scenery might look amazing on photos, the sand can be a small to medium sized problem. Obviously, you won’t want to wear your best leather shoes on this kind of terrain but flip flops feel a little too casual given the circumstances. GQ recommends espadrilles as a viable alternative as they will cover your feet and look alright with a suit. So now your feet are covered, what is the suit situation? You don’t want to be sweating a lot while the happy couple say their vows so dressing lightly is key. Paler colours are usually a good idea, as well as a finer fabric for the hot weather. You might also like to make a bold shirt choice and forget about having a tie altogether. There is a natural holiday spirit in the beach wedding so enjoy yourself! Once again, getting a good fit for your suit is crucial as the wind, sand and heat are all going to have an impact on your comfort. On the subject of weather, putting a light hat on such as a straw fedora could be a nice touch, handily shading your eyes from the sun and keeping the heat off the top of your head. The winter wedding season is fast approaching and as couple hope for just a light, photogenic dusting of snow, you need to figure out how on earth you are going to dress for the occasion. There are two main problems to work through: first is what you are going to wear outside when it is cold and second, how you are going to layer appropriately so that you will be dressed for heated rooms inside. The right coat is a good place to start. Choose something nice and thick such as wool and opt for a more tailored look. Going for a dark colour that matches your suit is a good idea and adding a complementary scarf will help to keep your neck nice and warm. Go for a thinner knit rather than a chucky ‘Grandma made this’ kind of look! Your shoes are also important and you should make sure that they are waterproof. There is literally nothing worse than accidentally standing in a puddle on your way there and having to suffer and cold damp sock for the rest of the day. Thicker soles are a good idea too as you will have better grip if there is a frost. Again, you might like to add a hat to your outfit and bring an umbrella too. Unfortunately, British weather doesn’t often play as nicely as it appears to in romantic films and your are more likely to get torrential rain than the perfect sprinkling of snow. Bring a large umbrella: you will be expected to share! 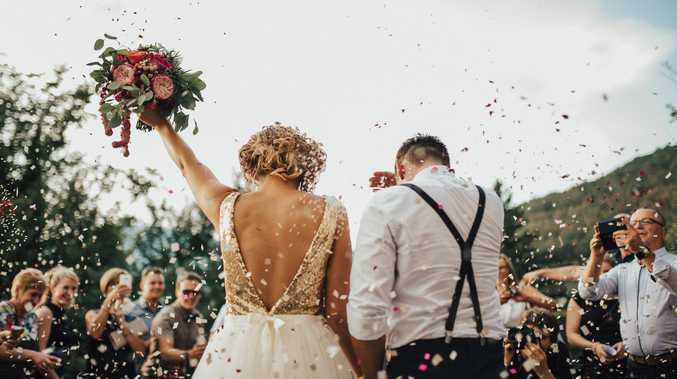 The modern wedding has come a long way from its traditional past and though figuring out rather elusive dress codes like “smart-casual” can be a bit of a minefield, there are still two set rules to remember. The first rules is that whatever you choose to wear, having a good fit is crucial. Weddings are long events these days and often come with multiple locations. This means that you need to be comfortable for the entire day and show off your best side to your friends and family. And the second rule is simple: have fun with your clothes, show off a little bit of personality in your choices and enjoy the day. You are going to be photographed a lot so it is worth the investment to get something that makes you look great. When organizing your wedding day, you will inevitably have a whole host of different things that you need to plan. From guest lists to catering to finding your dress; the list is endless. One important aspect that you need to contemplate is the wedding car that you hire. Mercedes Limousines, usually in a white color, have become one of the most popular choices for wedding cars. And, it is not hard to see why; the lavish and luxurious look they exude is in keeping with the day’s events. This is the perfect car for those looking for something modern, stylish and extravagant. If you are looking for something unique and vintage then this is the wedding car you are looking for. Its history makes it truly special and adds to the magical feel of the day. Moreover, you will certainly have an exclusive car as there is only two of the Limousine Cockshoot version left in existence. But don’t worry; if you get digging you’ll be able to find one. However, considering the exclusivity, you may need to seek some financial assistance for a car like this. Head to https://auto.loan/online-auto-loans/ for more information about the different car loans that are available. You can also get wedding loans online too. This car only holds four people and so it is the perfect option for those arriving in limited numbers. It embodies everything that a wedding car is all about; it is elegant, luxurious and unusual. It is a car which is certainly going to turn heads, and that is exactly what you want on your big day. Everything from the dreamy cream leather interior to the fashionable burgundy carpet is simply divine. This is one of the most stunning wedding cars you will ever see. The fine silver finish is something very rare and it manages to encompass that beautiful blend between being extremely vintage yet have a modern edge. The only problem is; people may be awing over the car instead of you! The Austin FX3 was built in the 1950s and is designed to be a taxicab. It is a highly sought after car, especially for collectors. It became exceedingly famous in the 60s by featuring in the film Carry on Cabby and so will fit into a wedding theme that is in line with that time frame. Head to http://www.thamesweb.co.uk/windsor/windsorhistory/films/carryoncabby1963.html if you have never heard of this film before and would like to know about it. The Austin FX3 is an unusual yet effective choice and is suited to old-school glamour. All in all, if you are looking for a wedding car then you should certainly consider the five options mentioned in this blog post. But, give it a lot of thought and consideration, after all; you’ve got to arrive in style. It’s not uncommon, at all, that the bulk of wedding planning will fall on the shoulders of one person in particular. Often, it’s the bride, since many guys simply can’t get as engaged in all the details that make the perfect wedding. That’s sometimes frustrating but it’s sometimes a good thing, as having one key deciding figure can really eliminate a lot of back-and-forth and indecision. Regardless of who is doing the majority of the legwork, however, there are some things that really need to be decided together. The first thing you should both do is come up with a number of invites. Who is invited is up to both individuals but having an even split can keep things feeling fairly representative. It’s important to talk about who you want to invite and to understand one another’s reasonings. This Brides article can give you some ideas on extraneous people to cut from your own invites, but don’t shoot down anyone your partner wants to invite. For instance, inviting your extended family might be incredibly important to you, but your partner might feel a much closer connection and bond to old friends. You should, however, have a little more say over who is part of the wedding party, just as your partner should have some say who is part of your half of the equation. There are some picks that will always work, such as an immediate family member or two. However, for friends or more distant relatives, you have to make sure that everyone’s personality complements the wedding party, that there are no tensions or obvious conflicts. What’s more, you need to think about whether the party has a practical role in helping to plan or carry out the wedding and, if they do, are the people suited to the job? You’re both going to be wearing these rings for the rest of your lives, so you should take a little time to make sure you’re both happy with the budget, look, and the practicality of it. This doesn’t mean you have to drag one another from jeweler to jeweler, thankfully. As this James Allen review shows, it’s much easier to use the web to find the perfect ring, even if you want to buy it in-store. You can explore different shapes, and see how the cut and clarity affects price, making sure you’re on budget. Don’t be afraid to mix and match rings instead of getting two perfect duplicates, too. You have to have a serious talk about what kind of wedding you want. In terms of atmosphere, size, and tradition, the venue plays a huge role. For instance, if you have a wedding on an exotic beach in your dreams, you have to take into account who your partner wants to invite most and whether it’s possible to transport them out there. Above all else, ensure that the factors above are planned together. You might feel like you work great as a team, and your partner might even be willing to contribute a little more to the planning process. A wedding is a process that unites two people who want to declare their love for one another. Of course, the sentiment behind the day is the main reason that people get married and the main reason that people attend to see them be wed. However, nowadays, people are spending increasingly large amounts of money on their big day and want to make all aspects of it as aesthetically pleasing as possible – for themselves, for their guests, and for the hosts of people that will see photographs of the event uploaded to social media after the event. So, if you are planning a wedding, there are certain parts of the event where aesthetics tend to reign supreme. Here are just a couple. Engagement and wedding rings are a symbol of unity between you and your partner. They show the rest of the world that you are happily engaged or married. But you should put plenty of thought into the rings that you do choose. After all, besides their symbolic value, they are something that you are going to wear every day for the rest of your life, so you want to make sure that they look good and can go well with whatever outfit or ensemble you might happen to throw on. As with many aesthetic purchases we make during our life, you might want to take some inspiration for your rings from celebs and their Celebrity engagements. Generally speaking, it’s a good idea to invest in a diamond ring, as this gem’s clear colour and clarity mean that it is complementary to any skin tone, hair colour, eye colour, or other personal traits. It is also going to look fine with any outfit that you put together. While traditional rings may be gold, you might want to consider silver or platinum rings, as these are a more neutral and forgiving tone. The majority of blushing brides will carry a bouquet down the aisle. This will tend to tie in with their chosen colour scheme, and a whole lot of time and effort is likely to be put into its design. However, floristry at your event doesn’t have to end there. There are various other aspects of the wedding that can incorporate beautiful blooms. Just take a look at how Kim K and Kanye incorporate a huge flower wall into their event. Come up with experimental new ways to incorporate extra flowers into your own big day. Perhaps guests could pass through an arch of flowers as they walk down the aisle. Maybe you could have arrangements as centrepieces for tables at your reception. You could even hand small bouquets to the bridesmaids or flower girls. These are just two parts of the big day where aesthetics really can reign supreme. So, make sure to focus on them and try to achieve the best quality in them that you possibly can! Are you keen to have the most trendy and chic dresses today to kill? 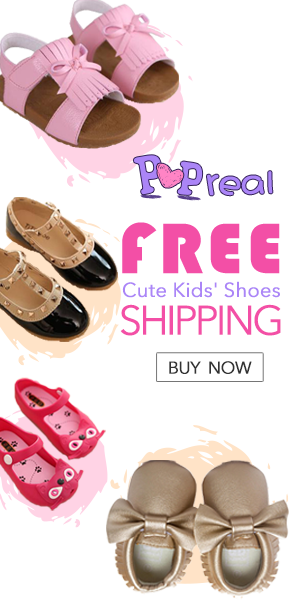 If so, why not to check this one leading online shop today which they’ve called themselves as 4prom.co.uk. To be honest, I really lurking this shop for quite a while now as I’ve heard to my fellow fashion bloggers and some fashion enthusiasts and icons out there that this shop sells all the elegant and fine dresses in a very reasonable prices and not just that, as they could offer you some discounted trendy dresses as well they you will surely like to have. The shop mentioned, 4prom.co.uk, is mainly for casual and formal dresses and one of their best seller is of dress you should check out for were these prom dresses for kid that are too rarely to see in mostly mortar dresses stores today in the market thus if you are keen to have exquisite dress for your kids I think this was your chance though to get them all at the shop as they offer a wide array selections of this type of dress. Furthermore, they did has some chic budget Bridesmaid dresses too that you would like to consider as they have some set gowns for it to pic up on. 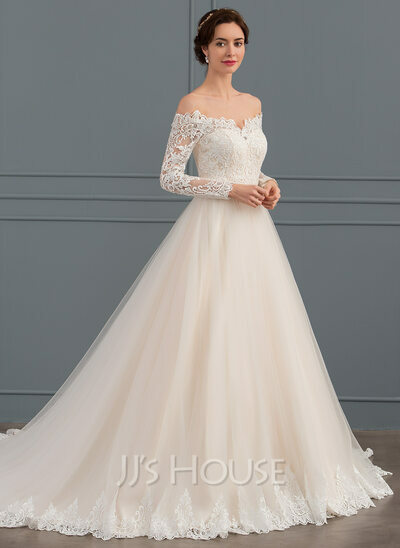 To be honest, this was my first time seeing one online shop that sells everything about dresses and gowns hence if you wanted to have the most convenient shopping experience and to have one stop shop, I will them suggesting you to try out to buy off your gowns here as they could offer almost everything. And we all know that plus size prom dresses being trendy these days from all plus size women hence this shop offers you a wide array of their plus size dresses. All you have to do is to check their plus size prom dresses section and from there you can able to see all the designs and best picks for yourself base on what you prefer most. Go check the shop now and see how awesome their dresses were! How Should The Groom Really Help Out When It Comes To The Wedding? When you think of planning a wedding, you probably think of a woman sat looking through wedding resources, chattering excitedly with her bridesmaids, making lots of plans and coming up with ideas. Why is the groom never really included? In some cases, the groom doesn’t do anything for a wedding at all, and just lets the bride plan it all out. Maybe the bride prefers it this way, but each couple is different and it can be tough to know how a groom is expected to help out when a wedding is on the cards. Give your bride to be a hand with the guest list. Get involved and make sure you make it clear on who you really want there, and who you could potentially be without. If you haven’t got an unlimited budget, you’re probably going to have to make some sacrifices on who comes to the day and invite them to your night event instead. Know that this is a tough task and your bride to be will stress over it. Be understanding. There are lots of small, menial tasks you can help with. You could follow up on RSVPs, for example. This will take some of the stress off the bride and you can feel good about helping. Whether she’s talking about tablecloths or her bridesmaid dresses, make sure you pay attention to her. Don’t do the thing men do when a woman is talking and completely zone out. You might be able to fake listening, but you’ll give yourself away at some point and she’ll get more and more stressed out. You could find a good wedding trends guide and point her towards it if she needs help and you’re unsure of what to say. Do your best to help her calm down (but whatever you do, don’t actually say those words). If you’re unsure of what you’re expected to do, just ask. It really is that easy and your bride to be will appreciate it. Don’t just sit around waiting for her to tell you. How about deciding for yourself what you definitely want to be involved in? You could help selecting the cake, the wine, and other fun stuff, for example. However, remember that not everything is going to be as much fun. Try not to be awkward. Communication is key when planning a wedding, or you can experience more arguments than ever before. Make it clear that just because you’re unsure of something doesn’t mean you don’t care. By saying you don’t know to things your bride asks you, she may get the impression that you don’t care and don’t want to help at all. Make sure you say what you really mean and try to stay relaxed during discussions. Hopefully, these pointers help with your wedding planning! If you’ve been following the blog, then you have likely picked up all kinds of talents and habits that can help you make a real masterpiece of organizational skills as far as the home goes. Those same skills and habits can go a long way outside of the home and, if there’s one thing that requires a lot of management finesse, it’s the wedding. It’s no ordinary party. Here are a few tips to go along with the habits you’ve already learned to make the mountain into something more manageable. Nothing is more important than setting a budget in advance and deciding how much you’re going to spend on the wedding in total. Not only can you avoid taking out bigger loans than you need and save yourself some money in the process. The budget acts as a method of selection for you, immediately closing doors to some of the costlier options that might otherwise only add to the options you have to select from. Some people might find this limiting but finding the scope of what you can and cannot choose is going to make it a lot easier in terms of decision-making later. Besides, getting bogged down in the idea of costliness meaning quality can result in some fairly poor judgements. Look to your wedding party as soon as possible and start talking about what you might ask them to do. It’s not just an honorary role, after all, it’s a responsibility that they agree to take by joining you on the big day. Beyond planning the stag and hen parties, there is plenty you can ask them to do as Love My Dress suggests. This can include picking up samples from vendors, wedding outfits, even the rings. Don’t ask them to do anything that requires your own decision making, such as choosing a vendor or a caterer. You can ask them to research the market and find ones in budget, but the final decision on any factor of the wedding is yours. Of course, make sure you treat them kindly, too, and give them some sort of thank you once it’s all said and done. Don’t be too demanding and know when they’re being pushed too hard. Sites like Real Weddings are making it much easier to find venues. You can narrow your options not just by budget, however, but also by which services they can provide. Besides giving you a place to celebrate, you can look at multipurpose, all-in-one venues that also provide catering or perhaps have links to local vendors. That way, you might be able to get some discounts and you have one less choice to worry about. When it comes to vendors, the search can be the most stressful and demanding part of all. You might want to find caterers, bakers for the cake, flower providers, entertainers, photographers, and so on and so on. Rather than having to deep dive for all the options in every single wedding industry, you can find them all at one place. Organize a trip to wedding events with Wedding Expos. If your partner is interested, have them come along, or invite one or more of the members of your wedding party. They can focus on taking notes and gathering contact details while you let yourself enjoy it a little bit more emotionally. If you’re thinking of the organizational side of things while also trying to see which best fits the feel of your wedding, it can be hard to tell what your gut really feels about one choice or the other. When you’re researching the venues and vendors that you have already talked to or looked in, the testimonials and reviews online can highly valuable. But only if you know how to read them. There are three kinds of value. In ascending order, here they are. The first will talk about how comfortable or convenient the service is, but won’t talk about how they actually performed, because they might have written their review as soon as they hired them, but before they received the service they are paying for. Other testimonials will talk about the provider in a perfunctory sense, perhaps because they did everything expected of them but not much more. Finally, the review you want to look for is the one that describes the vendor going above and beyond expectations, what those expectations were, and how exactly they were exceeded. Want gorgeous fresh flowers without having to shell out the big bucks for them? Skip all the eye-catching displays and ask them instead about the in-season flower options. It’s even better if you do your research in advance and find out all the different options that are in-season. It will avoid you being hoodwinked with flowers that are much costlier to acquire at the time of the wedding. You don’t want to have to be the one in charge of finding people when it comes time to taking and organizing photos. Nor do you want that responsibility to fall to the guests. Instead, look at options like a Booth Boy open photo booth. First of all, the arrangement and display of a photo booth immediately invites attention and encourages guests to visit it. What’s more, they are operated by an attendant, so you don’t have to spend time making sure that everyone is getting their pictures taken right. You can focus on enjoying the wedding instead of having to organize a detail that is both little and also of monumental importance at the same time. Google Sheets is a wonderful tool when it comes to organizing your guests and your invite list. Not only does it make it easy to categorize, find, and add information important to the wedding. It even includes features that automatically help you ensure you get all the info you need with inbuilt guest list planning tools, such as asking questions about dietary needs. Even better, it’s accessible from anywhere, even on devices that aren’t yours, so long as you remember your login details. As a side note, start addressing thank you notes before the wedding while you have all those details in front of you. A lot of people leave it until after the wedding which means having to hunt for addresses all over again if they neglected to save or store the information. We have approached the tips above with the understanding that you might not be hiring a wedding organizer. Some people simply can’t justify their place on the budget. However, as the big day is approaching, and even on the big day, a day-of coordinator can offer all the convenience of a wedding organizer for a fraction of the cost. Their job is to learn what they need to do from you, then make sure that all vendors are ready to go, all transport is sorted, and all the other odds-and-ends of the wedding are ready and overseen without your direct supervision. Wedding preparation can be stressful, and it doesn’t help that you have more to take in, emotionally, as the day progresses. Plan in advance for the planning with the tips above, and hopefully, it all becomes much easier to really cope with. Both sides of the wedding need to look stylish and stunning on the big day. You might think that it only matters how the bride looks but that’s not true. If the groom looks a mess, it’s going to bring the entire side down, and that’s something that you want to avoid. There are various ways to do this. Let’s start with some basic tips to ensure you look like a gentleman standing at the altar. You do need to make sure that your suit is properly pressed for your big wedding day. It’s quite possible to forget this detail in the chaos surrounding the days before your wedding, but you shouldn’t. The simple answer is to make sure you use a professional dry cleaner. A pro dry cleaner will ensure that there are no issues with the suit before the big day and iron out those creases. Don’t try and do this yourself unless you’re sure you can get your suit for the wedding looking brand new. Make sure that your shoes are well polished before the big day. This will ensure that they look tremendous in wedding photos. According to Vittore Buzzi, the best wedding photographers highlight the key details of a scene and perfectly polished shoes could be an example of this. Particularly, if they glisten in the morning sun for photos taken outdoors. Of course, there are other little details like this to pay attention to as well, such as cufflinks. Cufflinks should be seen underneath your sleeve and will add a touch of bling to your attire. There are two key elements of colour to the typical groom wear. These are the cummerbund and the tie. Either can be colourful and provide a touch of vibrancy to what can be a rather plain wedding outfit. That said, you can add little class to this choice by matching the colour or shade of the tie or cummerbund perfectly with that of the colour or shade of the bride’s dress. This is going to look wonderful in pictures and when you are standing at the altar. Of course, if your lady is opting for a white dress, you can instead match the colour of the tie to that of the bridesmaid dresses. Choose the suit for your wedding carefully and make sure that you keep up with the latest style choices in the wedding industry when you get married. For instance, you might want to think about how many buttons your jacket should have. You’d be surprised to learn that the wrong number can make you look completely out of style on your big day. Last but not least, you need to make sure you get a haircut and possible a styling job a few days before the grand event. Women spend hours perfecting their hair the morning before. While you don’t have to go this far, you also don’t want to be standing there looking ungroomed and unkempt on your wedding day. When you get married, there are many fashion considerations to take into account. You need to think about colors and themes, and whether anyone is going to match anyone else. Some wedding parties have groomsmen all wearing exactly the same thing, while others a bit looser when it comes to choosing outfits. One thing you might want to consider doing is tying in the groomsmen’s outfits to the bridesmaids. You might especially want to do this if the people standing up with the bride and groom aren’t strictly split along gender lines. Making sure the groomsmen look sharp while the bridesmaids look their best can be tricky, but there are ways to do it. Before you can start matching up your bridesmaids and groomsmen, you need to have a wedding theme or colors. This is often one of the first things you pick when planning a wedding. You need to make sure both of you have agreed to and are clear on the colors you want to use, and the theme of the wedding if there is one. A theme doesn’t have to be too specific. It can just help to narrow your wedding choice down. It could be something like “rustic” or “vintage”, or you might pick something more specific, like a particular period or even a pop culture reference. Once you know your theme or colors, you need to think about just how coordinated you want everyone to be. You might want to have everyone be as matching as possible, but you could also be more relaxed about your approach. Your groomsmen could all be in the exact same suit, with the same shirts, shoes and accessories. However, you might also want to pick a certain style or color and then let them choose the exact outfit they want to wear. This allows each of them to find something they feel comfortable in. Some might want to wear a vest under their jacket, some might like a tie while others want a bowtie. It also leaves room for them to wear things they already have, like a pair of formal shoes, instead of buying new. Paying for outfits is something you might want to think about before making decisions about coordinating. Your budget could dictate whether you decide to make an effort to coordinate your groomsmen and to match them to bridesmaids. It’s also worth considering who is going to pay. In the US, members of the wedding party usually pay for their own outfits. However, in the UK, it’s usually the bride and groom who pay. If you’re considering paying, you might want to think of how to find the space in your budget. If you own your home, a homeowner loans company could help you out with some more cash. However, if you’re trying to keep costs down, you might not offer to pay. Just make sure that everyone knows they have to pay for themselves before they accept. Using wedding colors is one way to get groomsmen and bridesmaids to coordinate. Another option is to pick a motif that can feature on both the bridesmaids’ and groomsmen’s outfits. This is often easy to do with flowers. The brides can carry bouquets, and the groomsmen can wear boutonnieres featuring the same flowers. Or you could consider having a pin, which the grooms have on their jackets and the bridesmaids have on their dress, holding a shawl together, or even in their hair. The motif could also be a pattern that features on the bridesmaids’ dresses or shoes and also on the groomsmen’s ties, shirts or vests. Sometimes, neither the bridesmaids or the groomsmen will match each other. Many couples are happy to let their wedding party follow loose guidelines, or else they purposely choose mismatched outfits. Getting everyone to coordinate in some way if you go this route can be even more difficult. One way to do it is to focus on colors. For example, if each bridesmaid has a different color for her dress, give each of the grooms a tie in a shade that matches one of the bridesmaids. Or give the bridesmaids pashminas in the same colors as the groomsmen. Of course, if you picked a wedding theme, the theme can bring everyone together. If you love fashion, choosing outfits will be one of your favorite parts of wedding planning. Your groomsmen can all look great and still coordinate with the bride’s party.